France, époque Louis XVI (1775-1790). MATIÈRES: acajou, placage d’acajou & satiné. DIMENSIONS: H. 145 cm ( 57 in. ) ; L. 109.5 cm ( 43 in. ) ; P. 41 cm ( 16 in. ). ESTAMPILLE: C.TOPINO. Charles Topino reçu maître le 14 juillet 1773. 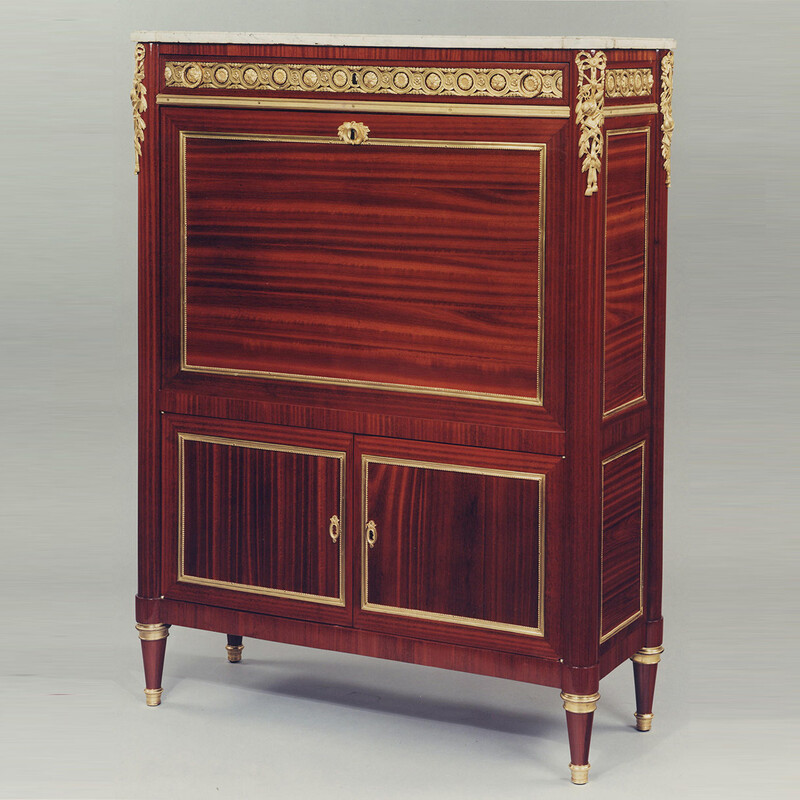 A Louis XVI mahogany, mahogany and satiné (bloodwood) veneered secretaire that opens with a drawer, two doors and a fall-front hiding two pigeonholes, two leather- decorated cartons and six drawers. It has ormolu mounts such as the interlaced flowered frieze, the scientific symbols, the mouldings, pearled frames, keyholes, rings and casters sockets. The whole is crowned with a veined white marble top.